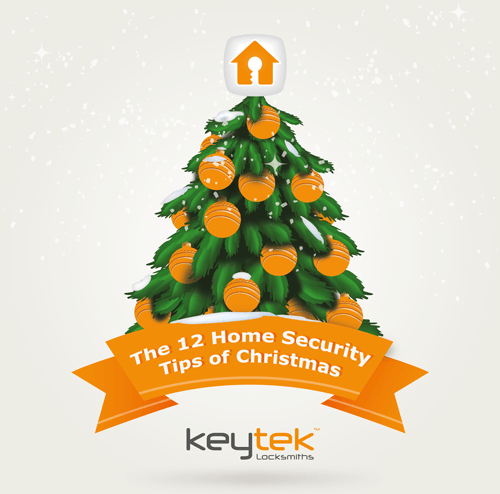 In the lead up to Christmas each day we will be posting a home security tip, so look out for our ‘The 12 Home Security Tips of Christmas’. As the nights draw darker and colder, it is important to evaluate the security of your home and take measures to ensure your home isn’t an easy burglary target. During the winter period your home can be seen to be more vulnerable by an intruder, especially in the lead up to Christmas when you are more than likely to have unopened items of high value. Each of the home security tips we share in the lead up to Christmas will help you to make sure your home is best protected during the Holiday period!